Is it cool that Microsoft turned out for the Seattle Pride Parade? Sure, but some support of diversity is a basic expectation of such a major employer. 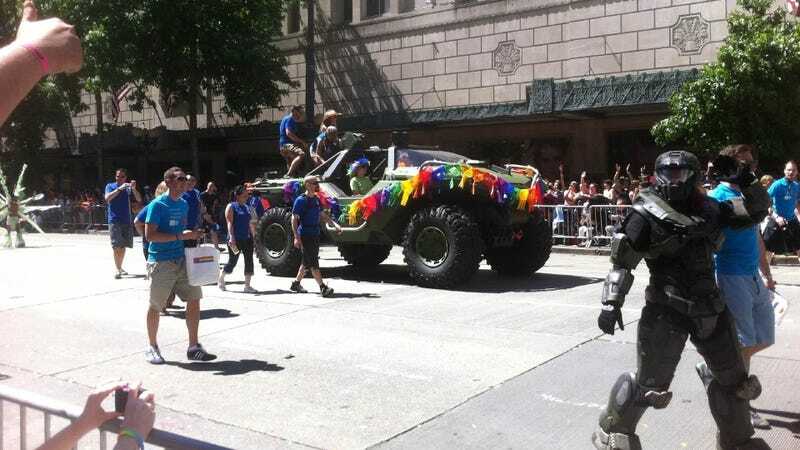 Now, what is cool is the fact Microsoft rolled in the Seattle Pride Parade with a Warthog and Master Chief. The folks in blue are wearing pride-themed T-shirts with the UNSC logo. There are more images of Microsoft's Warthog in the parade here (some images NSFW). The one above comes from this blog, as spotted by Francis (the rage comedy guy) via Twitter last night.